This twinbar can accept up to 4 cameras, or two cameras and whatever may attach to a 1/4-20 screw thread post. It can be attached to a tripod via an included reversible spigot with 1/4-20 or 3/8” female threads or alternatively a 3/8” or 5/8”light stand. We also offer an accessory shoe if you would like to add a flash to it. It is 16 inches long x 1 inch wide. Slintm (Slide/Twin) Bars for one or two camera stereo photography! Our new "SLIN" bars work as a twin bar (for putting two cameras on) or a slide bar (used to move one camera with precision) for one camera stereo photography. They have a tripod mount on the movable stage and will fit two cameras on. Each has a tripod mount to attach it to a tripod and two 1/4-20 bolts to fit it on your camera or cameras! The SLIN 6 has room for two cameras of around 3 inches width each or one camera of about 5 inches wide. It has movement of around 5 inches and separation of around 3. The 10 inch (Slin10) version has room for two cameras of about 5 inches wide and also a separation of around 8 1/2 inches. They have graduations marked in cm with the center at 0 for the larger bar. Similar to the twin bar above the 6 inch twin bar is great for use with our Lanc Shepherd and small digital cameras. In order to be more streamlined we eliminated the knobs and replaced them with fittings which work with an Allen Wrench (included). For two camera use in stereo photography. This bar has spring loaded camera post which can be adjusted with the locking collar to insure a consistent amount length of thread into your cameras tripod socket. We recommend for most stereo photography applications that the middle 1/4 x 20 mounting socket be used for attachment to the tripod. Includes a felt carrying bag! Length is 12.5 inches (317mm), weighs just 18 oz. (500g). For separations of around 3 to 10.5 inches. More Information. 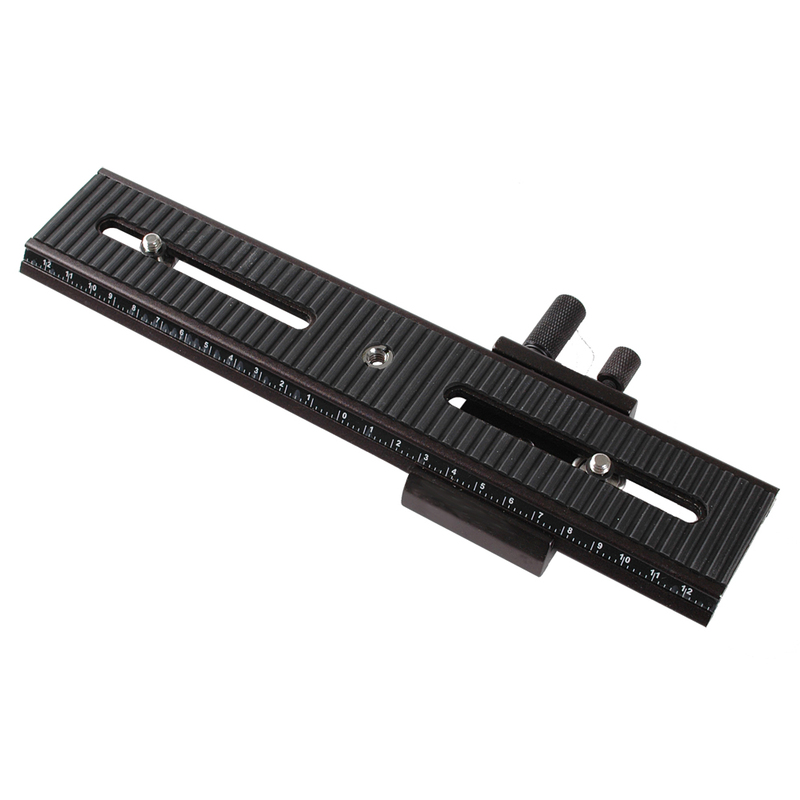 All mounts adapt to this bar and can give you an adjustable interocular separation of a maximum of 7.5" (19.05 cm) after your cameras have been mounted on the vertical brackets. The Interocular Bar is 12" (30.48 cm) long, 1.750" (4.45 cm) wide and .375" (0.95 cm) thick and is sold separately. 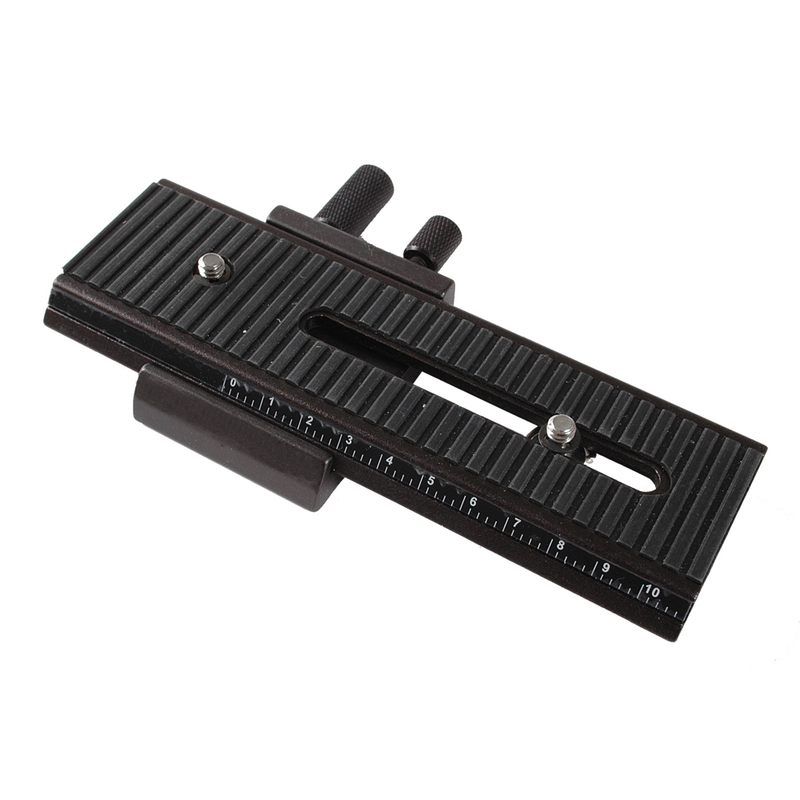 Has standard tripod mounting hole for mounting to your tripod!